The co-founder and chairman of luxury fashion shopping site Italist — now available to Singapore-based shoppers — shares more on his expansion into Singapore. Last month, Italist — a Beverly Hills-based online retailer that carries luxury Italian fashion brands for men and women — has finally arrived in Singapore. With free shipping for all purchases, as well as over 600 brands including Valentino, Lanvin and Dolce & Gabbana to shop for, there’s no reason not to bookmark this site. And to make shopping even more attractive, Italist boasts all-inclusive prices that are approximately 20 per cent lower than other websites. Co-founder and chairman of Italist, Raffaele Giovine started the e-commerce business two years ago in Los Angeles. The former founder of Zero9, a mobile content provider for mobile services across 12 countries, has always been passionate about technology. Here, Giovine reveals his biggest challenge in the online retail space and his future plans for Italist. I start my day… by preparing an Italian espresso for my wife using our original Bialetti Moka machine. She loves the scent of coffee around the house as it reminds her of Italy while in LA. My interest in fashion… began when I was a child. My dad and uncle were also in the fashion business and I grew up knowing and meeting all the best Italian stylists in the 1980s. The first luxury fashion piece I owned… is a Gucci black sweater designed by Tom Ford in 1997 — a great classic piece and I’m still using it today. 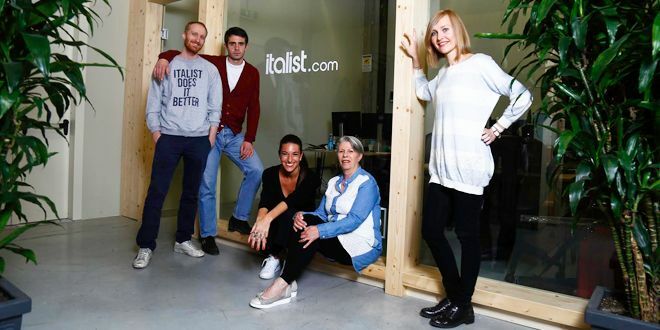 As chairman of Italist, I… spend most of my time talking with the co-founders to define the website’s strategy for the next day, the next year, even decade! The biggest challenge that I face in online fashion retail… is to be able to offer the best fitting experience for our customers. In California, we believe that artificial intelligence (AI) and 3D will greatly improve a customer’s experience within the next five years. I’ve decided to bring Italist into Singapore because it is already one of our fastest growing markets. All Asian markets are important for us, as we have such a great advantage in terms of price and selection compared to local markets such as Singapore, Korea, Japan, Malaysia and Hong Kong. If I were to describe Italist in three words… it’ll be, Italian street shopping! My proudest accomplishment to date is… my family. My eight-year-old daughter wants to become a stylist and work with me to develop an original Italist collection. My four-year-old son wants to become a soccer player and World Champion in the Italian team, and my wife is my best friend and counsellor. Most people don’t know this about me… but I was a great soccer player when I was younger. It could have been my profession. If I could tick one thing off my bucket list this year… it would be to get fit, like how I was 10 years ago. In 10 years, I would like… to develop an original Italist label. I need to wait for my daughter first! Now is my time to… invite you to visit Italist.com and shop as if you were in a real Italian boutique in Capri or Venice! To see more of our Up Close With series, click here.